"Cinderella" close-up: Movie marketing has become a brand name business in recent years as audiences increasingly favor familiar titles. That should be a big help to Walt Disney Pictures' launch this weekend of its PG rated live action family adventure drama "Cinderella,"at about 3,600 theatres. Directed by Kenneth Branagh ("Thor"), it stars Lily James (Lady Rose on "Downton Abbey"), Hayley Atwell and Helena Bonham-Carter. "Cinderella" is a vintage Hollywood brand name. The legendary family audience title goes back to the 1950 animated classic that helped Disney become a powerhouse studio. Made for about $3 million, the animated "Cinderella" grossed over $34 million domestically, which was terrific business at the time. A live telecast of "Cinderella" was a big hit for CBS in 1957 starring Julie Andrews in the title role with a score by Rodgers & Hammerstein. In 1965 CBS televised a new production starring Lesley Ann Warren as Cinderella and Ginger Rodgers as the Queen. A Disney produced television movie version of "Cinderella" aired on ABC in 1997 with Brandy Norwood in the title role and Bernadette Peters as Cinderella's Stepmother. The new "Cinderella" is tracking in double digits as an overall first choice to see and its awareness scores are through the roof. It's tracking in high double digits with under-25 females and also doing very nicely with women over 25. Its familiar storyline revolves around Ella, whose father remarries after her mother's tragic death.Ella welcomes her new stepmother and her daughters into their family home, but when her father suddenly dies she's at the mercy of a jealous and cruel new family. Ella is now their ash-covered servant, who's spitefully renamed Cinderella.But Cinderella doesn't despair or hate her abusers. Before long, she meets a dashing stranger in the woods, not knowing he is really a prince. 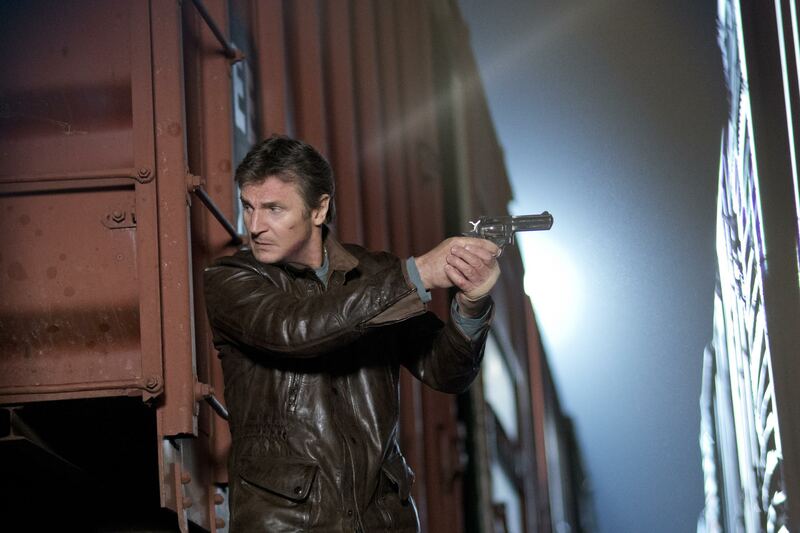 This weekend's perfect companion to the strongly female appeal "Cinderella" is Warner Bros.' male appeal R rated action crime drama "Run All Night," opening at about 3,150 theatres. Directed by Jaume Collet- Serra ("Non-Stop"), it stars Liam Neesan, Joel Kinnaman, Common and Ed Harris. "Run" is tracking best with 25-plus men and next best with under-25 men. The weekend's two wide openings are a good example of how studios employ counter-programming. In the case of "Cinderella," family audiences – especially moms-with-kids – are long familiar with the storyline and key elements like theFairy Godmother, Royal Ball and Glass Slippers. It's particularly encouraging that awareness of the film by women is tracking at 90 percent or more. "Run," on the other hand, is an originalfilm targeted to a male audience. 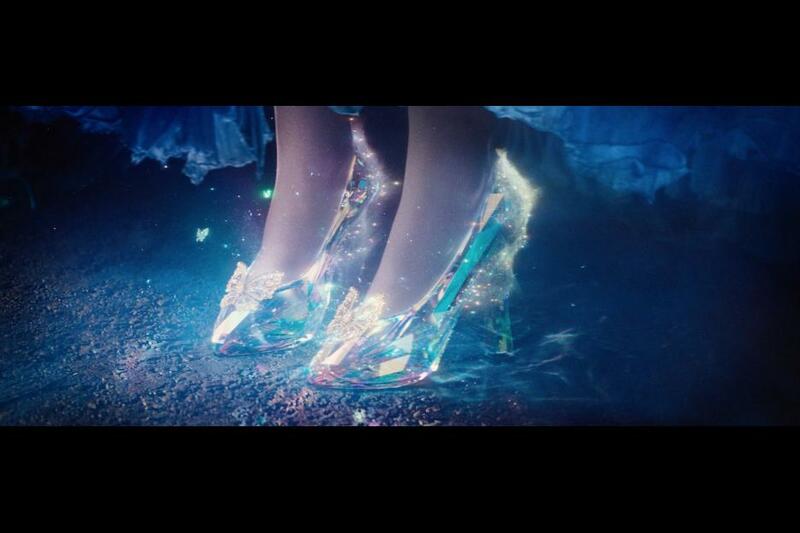 It has good awareness, but not nearly as much as "Cinderella" has thanks to its Disney classic roots. What "Run" does have going for it, however, is star casting. Liam Neesonis an action film brand name, himself, after his success in the "Taken" franchise, whose three titles have grossed $373 million domestically. That's meaningful to the male audience that isn't a match with "Cinderella," but for whom a crime thriller with Neeson is perfect. 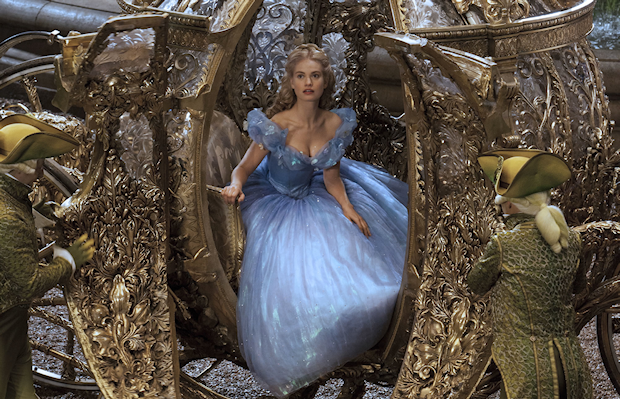 With its family audience base to draw on, "Cinderella" looms as the weekend's boxoffice fairy tale. Disney had for many years wanted to reintroduce the well known story to moviegoers. In moving forward, they turned to Kenneth Branagh to direct, recognizing his storytelling skillsalthough his past successes were in quite different genres with films like "Hamlet" and "Thor." in sync with the visual artistry that was being developed," Branagh explains. "It's a classic piece of storytelling wherethe central character goes on a journey that we can reallyidentify with, so the texture and landscape of a great story was wonderful to play with as a director." Branagh's producing partner, David Barron ("Jack Ryan: Shadow Recruit"), believed Branagh was the rightdirector forthe project: "I've worked with Ken for over 20 years, and he is the perfect choice to direct 'Cinderella.' He has a passion for storytelling and a rare gift for finding the humanity of every situation, even fairy tales." exceptionally talented cast and a strong script with more complex and realistic characters than before, would make for atruly entertaining cinematic experience. "Kenneth Branagh is oneof the world's greatest actors as well as one of the world'sgreatest directors, so we knew from the beginning that hewould bring a complexity to the relationships, the characters and the themes of the story," says producer Allison Shearmur. "But the epic vision that he brought to 'Thor' was so absolutely amazing and singular, and finding the combination of those elements inone director was almost too good to be true." Branagh was attracted to the material because of the story's power as well as the title character's strength and fortitude. "With 'Cinderella,' you can assume that the vast majority of your audience already knows the story, no matter what their age," he points out. "So what you bring to it as a director, the way you embody the classic iconicmoments of the story, was really a wonderful challenge for me. "Being able to direct Disney's 'Cinderella' in the 21st century means that you are in the drivingseat for presenting a myth that has endured across the ages because it connects with human beings on such a profound level." The filmmakers wanted to deliver the kind of classic family entertainment Disney is known for, but understood that families are different today than they were in Hollywood's golden age. "This is more about telling the story from the inner journeys and the inner worlds of eachcharacter,"Shearmur explains, "rather than just the visual aspect of it all. But it was also important that the screenplay remain faithful to the original animated film." really in her ability to maintain her good nature and her character in spite of a lot of suffering, which is what she goes through." The screenplay was written with scenes showing Ellaas a child with her parents, focusing on their loving and picturesque life before her Mother's death. Those scenes depict how Ella comes to understandthe concept of having courage and being kind. Barron. "These are very simple words, but for Ella they areeverything, as it gives her the strength and resolve to deal with all that lies ahead, unknowing of course, just how much this resolve would be tested." In the animated classic, according to Weitz, "we don’t see her Mother. She's gone after the first sentence or two of voiceover. I thought it was important that the audience see her and experience not only Ella's loss of her butwhat she gained from her. We also wanted a touchstone by which to remember those intangible gifts." Cinderella, Branagh adds, "has a strong sense of humor and maturity. She assumes people don't necessarily mean to be cruel and aren't necessarily evil. She is not a helpless or self-pitying victim. She can find things funny. Thesethings are presented as expressions of strength, not weakness." Clearly, they needed to find theperfect actress to embody Ella -- someone who radiated goodness and innocence and who could make audiencessee past her beauty to focus instead on her story. Lily James, who's best known to audiences for playing the defiant Lady Rose on "Downton Abbey,"was cast as theloving and kindhearted Ella, whose spirit can't be broken. side, and so an innate likeability was important. "Lily brought all that the first time she came in to read for the part. She’s a very beautiful girl, andher warmth also allows it to be a very approachable beauty, and somehow we feel that she could be our friend as dazzling as she is." "Lily James is Cinderella," Shearmur agrees. "She is kind. She's interested in the quietest person in the room. She has great interest in all people from all walks of life. She's got a great big heart. She's a good person, and she'sspectacularly beautiful -- but she's not a cartoon." "On the surface, Lily has this wonderful wide-eyed innocence and a joyin just being alive and discovering the world around her," says Barron. "But she's incredibly smart and has a directness and anemotional intelligence that allowed us to embrace this verymulti-layered Cinderella." celebrated and best-loved characters was a dream cometrue: "I liked the fact that Ken wanted to keepit light and magical, much like a fairy tale. And in addition tothe fact that Cinderella is so special and kind and unique, we also had a great opportunity to create a whole lifebeyond the fairy tale, making it richer and giving each character their own specific back-stories. "The heart of the story is Ella's strength and how, even under the cruelest of circumstances, shemanages to maintain goodness, purity and positivity." To prepare for the film, James followed a healthy lifestyle that included a daily yoga routine to achieve the kind of posture,grace and elegance Ella would likely have had. She also took horseback riding lessons for six weeks and did agreat deal of research on spirituality. "I wanted to make Ella seem as real as possible," James recalls, "but didn't want her to appear as if she had no faults because Iwas afraid the audience wouldn't relate to her if she was too perfect." Bottom line:Mid-March should bring a boxoffice heat wave as"Cinderella"finds her Prince. More sunny skies are expected a week later when "Insurgent" follows in "Cinderella's" glass slipper footsteps. "Insurgent," the second episode in Lionsgate and Summit Entertainment's"Divergent" franchise, is already tracking through the roof with women under 25 and nearly as well with 25-plus women. Based on Veronica Roth's best-selling "Divergent" young adult book trilogy, it's directed by Robert Schwentke ("RED") and stars Shailene Woodley, Ansel Elgort and Theo James. "Divergent," opened Mar. 21, 2014 to $54.6 million and grossed $150.9 million in domestic theatres.